Play WIND-UP KNIGHT at Tokyo Game Show! We know you’ve been biting your nails with anticipation for Wind-up Knight, so much so that you’ve started to eat into the fleshy bits at the tips of your fingers. Fortunately, we have a way for you to avoid all-out epidermal disaster: come play Wind-up Knight at Tokyo Game Show next week! A fully playable and absolutely ego-destroying sample version of Wind-up Knight will be on display at SonyEricsson’s booth–just look for the large Xperia Play demo station. 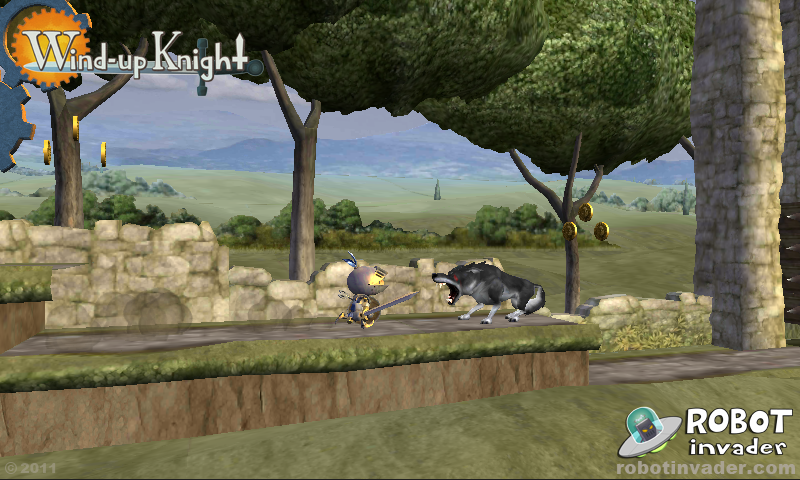 Wind-up Knight will be ready and waiting to put you in your place on any of SonyEricsson’s vast array of demo devices. Make that incredibly long trip to Makuhari Messe worth the trouble by playing our awesome game! To whet your appetite here’s a new screenshot of a player about to get served by a goddamn wolf.